The Nordstrom Half Yearly Sale is coming to an end on June 3, and they have added more items to the sale that are SO GOOD! I have browsed dozens and dozens of pages on Nordstrom's website to choose my top 100 picks under $100. 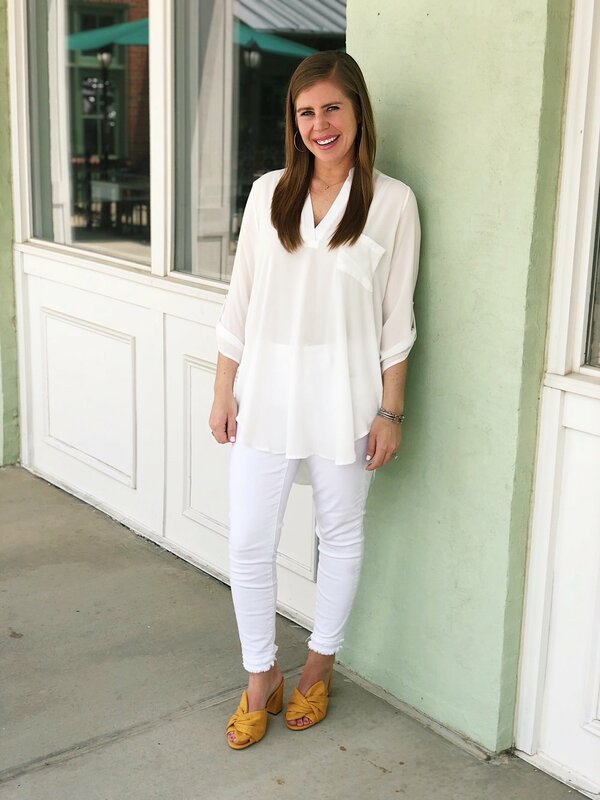 Most of these items are significantly under $100, but there are some fabulous markdowns of items (like Marc Fisher wedges) that are right under $100. One of my favorite new markdowns is these Jack Rogers sandals. I live in them all spring and summer, and they are on sale in 5 colors! Platinum is always my favorite choice because I find that it goes with everything. I also have the gold pair and sparkly silver. I clearly love them! If I purchased one pair, it would be the bone color because I don't have any sandals that color, and I feel like they would go with everything too! They're being price matched, so no telling how long they will stay on sale. Scoop them up quickly if you've been wanting a pair! My dress is not from Nordstrom, but it is $29.99 and was just restocked! It runs large. I am wearing an XS because that's the only size they had in the store. I would have preferred to size down 1 size to a small! One of my other favorite new additions to the sale is this ruffle dress. I have it in yellow and LOVE it! My mom actually purchased it in yellow too. The one that is on sale is olive green, and it is starting to sell out. My mom and I both found that it ran a little small, so we both sized up one size. I posted this tunic on Instagram the other day and got a few questions about it. It is such a great closet staple! I have it in white and black and wear it year round. I found that it runs true to size. I am wearing my regular size medium. Nordstrom suggests sizing down one size if you're in between sizes. I like clothes like this to be plenty long and roomy, so I went with my regular size. This allows me to wear this tunic with leggings in the fall and winter! Onto my other picks! It's easier to check these out on a laptop or desktop because the pictures appear in rows instead of one at a time. If you're on a phone- no big deal! It will just take you a little longer to scroll through all of them. Do you have any favorites?! Thanks so much for stopping by! Have a wonderful weekend!